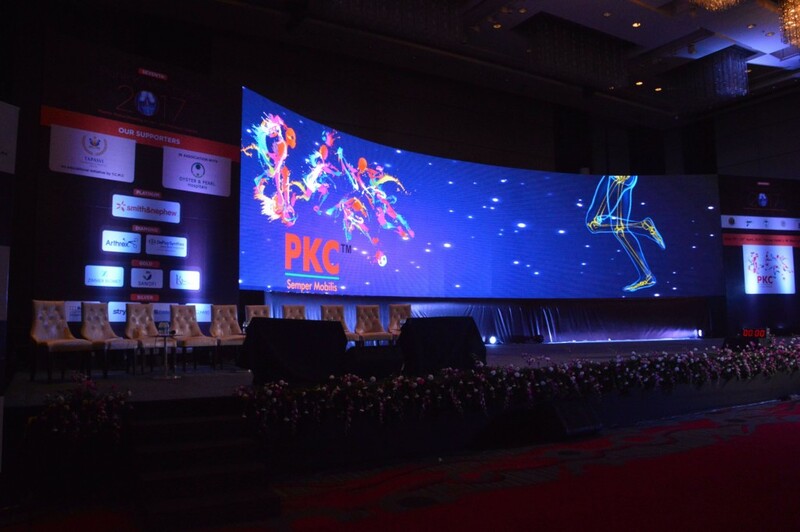 Thank you for your overwhelming response for PKC 2019. We are close to 1000 registrations and we will be closing registrations soon!. Register Today!!! Tapasvi Charitable and Medical Centre is a trust, which primarily works on the enhancement of education along with other charitable activities. 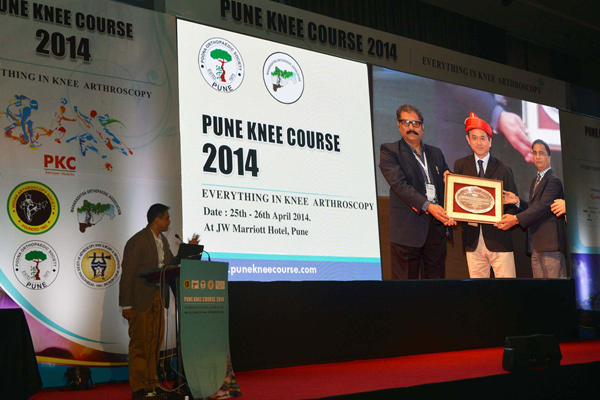 One such activity conducted under the aegis of this trust is India’s premier educational course the Pune Knee Course. With a view to reach out to the Orthopaedic students from the nook and corner of our country, Tapasvi Charitable and Medical Centre is happy to announce freeships for the Pune Knee Course. Aspiring postgraduate Orthopaedic students may apply for these freeships with a recommendation letter from their respective HOD. TCMC will provide free registrations for the Pune Knee Course to a few such deserving students. After attending Pune Knee course in 2011, I was mesmerized by the Scientific program and the conduct of the course. Since then, PKC was always in my plan list and attended 4 consecutive meetings. With inspiration acquired from the PKC we started B&B Knee course at B&B Hospital Kathmandu, Nepal in 2016. Over the years, I had opportunity to be part of various international conferences as participant and faculty as well, there were always some good and not so good aspect of those conferences. The 8th PKC was amazing in all the aspects, scientific content, Live surgeries, conduct of the course and discussions were all beyond my imagination. Simply, best Knee course in the world. Would love to be part of this course for ever. I was greatly impressed by the organisation and execution for the PKC meeting. The audiovisual presentation was world class. The meeting was scientifically relevant to all who attended. Calling the PKC simply a course or a conference, would be like calling the Rolls Royce simply a car! PKC has generated & maintained the paradigm shift in meetings in India from broad 2-4 joint based meetings to narrow 2-3 ligament centric meetings! Who would have imagined that a conference focusing on only the PCL, MCL & patella would generate a whopping 1200 strong attendance. I was riveted throughout the meeting. There was not a single dull session right from breakfast until dinner. A well thought of scientific program & a perfect execution by reputed faculty, balanced by good industry based workshops & social networking agenda; it was comprehensive to say the least. I feel proud to be a small cog in this giant wheel, I received more (knowledge) than what I was able to give. Hats off to the well oiled machinery behind all this. Message went to all 1200 delegates about current concepts of Posterior cruciate ligament, Collateral ligaments and Patellofemoral joint. Thanks for inviting me as a faculty and been attending since it started. I look forward to attend for such specialty meetings in future. 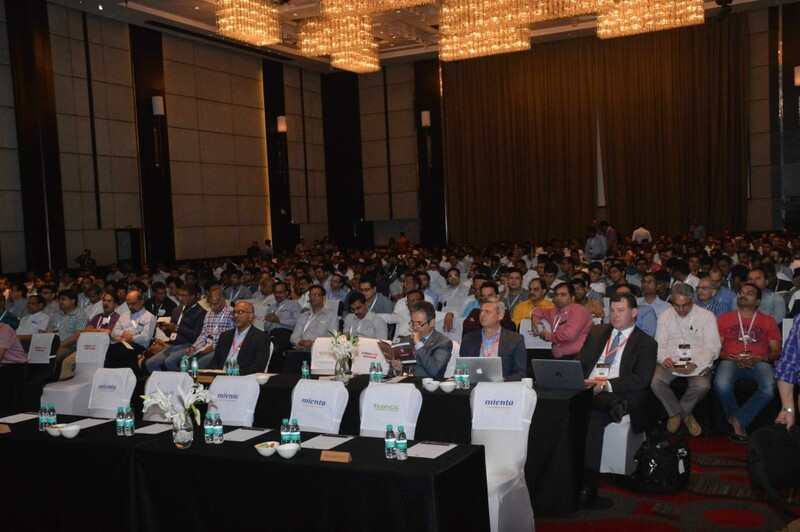 The Pune Knee course is a landmark meeting in the "calendar of events" for arthroscopists & knee surgeons in India & neighbouring countries. It is no nonsense course that has continually managed to focus on the newer trends in knee surgery. The course contents addresses concerns of the trainee and experienced surgeons as well. A fantastically designed focused knee course with superb live demonstrations and well covered talks, ICLs and evening workshops. 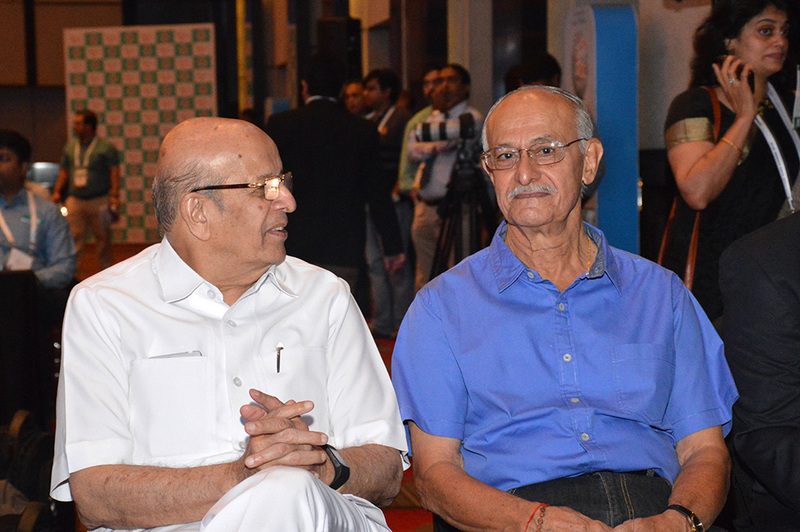 I have been associated with the PKC for 7 years. Even though I am a radiologist, I have benefitted tremendously from attending and being a part of the PKC in that my knowledge of the surgeon's perspective of the knee has significantly improved. Watching the live surgical demonstration helped me understand anatomical structures from a surgeon's point of view and it has helped me improve my reporting standards. It is probably the best organised clinical meeting, with lectures and live surgeries happening with clockwork precision. 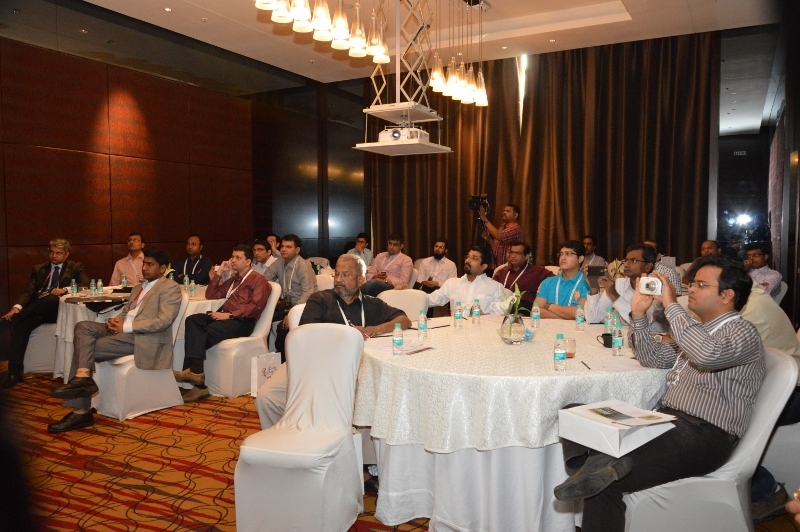 The panel discussions and live clinical demonstrations are the best part of the course. Dr. Charlie Brown, Dr. Sachin Tapasvi, Dr. Nilesh Kamat and their team make every effort to ensure that each year the meeting covers certain specific topics thoroughly from the most basics of anatomy and imaging to intricate surgical procedures. I sincerely wish more radiologists would attend this course so that surgeons and radiologists would be on the same page. I truly enjoyed my time in Pune for PKC 2018. I was most impressed by the organisation of the whole event, in particular with the AV facilities and the live surgery set up. It was a pleasure to meet new colleagues from both the faculty and amongst the delegates. Watching the live surgeries was very informative. I certainly picked up some useful tips. The global faculty addressed some difficult concept areas in sports knee surgery which hopefully improved our understanding and will aid to improving patient care. Congratulations to Sachin, Parag, Nilesh and the rest of the organising team on an excellent event! Thank you for inviting me to participate as a faculty member this year. I look forward to future similar events in Pune. 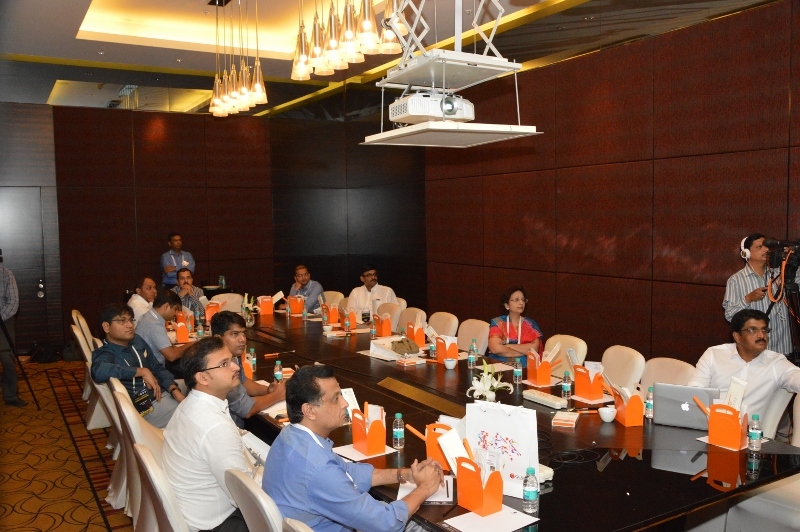 The Pune Knee Course focus meeting on PCL, PLC, MCL and PF joint presented a comprehensive overview of all aspects of multiligament injuries and their management. The numerous live surgeries enabled insight to the technical issues of all types of knee ligament reconstruction and patella instability. Also patient cases enabled clinical evaluation of complex knee pathologies. 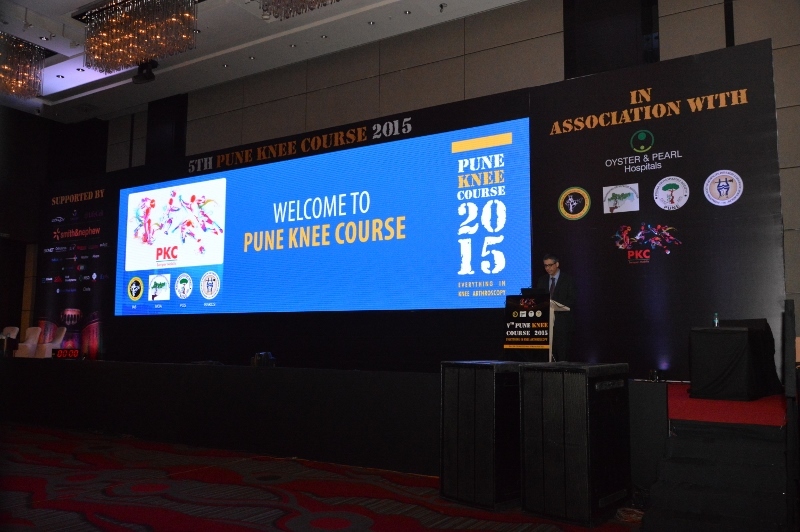 The Pune Knee Course consistently brings together the top minds from around the world to share their expertise. The 2018 meeting was no exception. Great facility, great audience and a great opportunity to learn from the best. I have been asked to give some thoughts about the PKC 2018 meeting. I was honored to be asked to participate as speaker, with the honor extending to be the keynote orator. This meeting was important to me on several levels. 1) It was a fantastic display of how modern multi-media technology can enhance education and surgical skills. It should serve as a model of how to run such a meeting. Admittedly it needs great organization and co-operation between a hospital system and a conference venue, with IT support and OR support. India is blessed to have found this combination in Pune. 2) The topic of my oration was to summarize my thoughts on the Patellofemoral joint over my academic lifetime. As I contemplated the task, it helped me realize how meetings like this has helped me gain perspective on how to best articulate knowledge gained to knowledge shared. 3) The delegates at the PKC meeting were uniformly attentive, inquisitive, engaged. The meeting reinforced my personal quest to share knowledge gained thru experience and shared knowledge with my colleagues. In summary, the PKC 2018 meeting was, for me, a pivotable moment in my lifelong journey to gain knowledge and share it with my colleagues. Thank you to the meeting organizers for extending the opportunity to share my knowledge with enthusiastic and appreciative delegates. I added much to my knowledge base; I hope others delegates can report the same. My heartiest congratulations to Dr. Parag Sanchetti, Dr. Sachin Tapasvi and their entire team for the spectacular Combined ISAKOS & PKC 2018 meet. As an ISAKOS appointed observer it was my pleasure to say this was the best scientific meet I’ve ever attended on this complex topic. The program content was precise and the execution was exemplary! Congratulations on the completion of another memorable PKC. 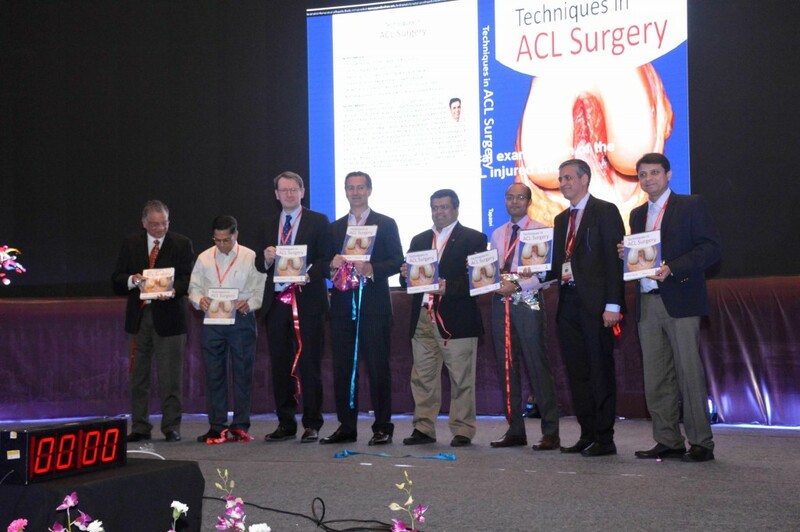 I have been associated with this meeting since its inception and have seen it rapidly growing in stature from a local meeting, to India's premier knee arthroscopy meeting, to an international meeting of repute. This meeting has been receiving accolades from national and international delegates and faculty and this is deservedly so. The academics are always pertinent and interactive, the planning and execution of the program is always perfect, and the hospitality is unmatched. Many thanks for the faculty invitation, it has been a learning experience and an honour for me to attend this meeting. PKC 2018 - what an outstanding course! Congratulations to the Organizing Committee who were able to put together a comprehensive program focusing on complex knee issues. 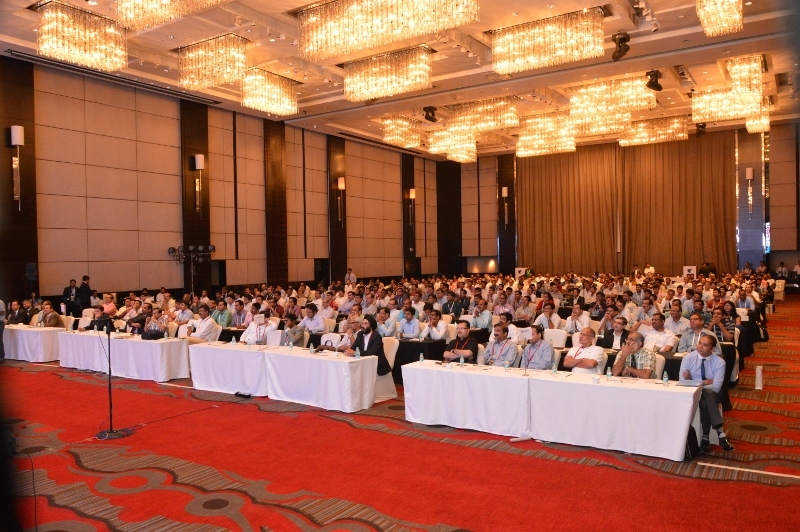 The 1000+ delegates were exposed to state-of-the-art treatment options for ligament reconstruction through international and local faculty presentations, live surgery and live patient case discussions. This was one of the best meetings that I have been to and thoroughly recommend it for surgeons who want to get an in depth review of challenging problems that we encounter. Non Residential Package for Pune Knee Course includes: Registration for Pune Knee Course 2019 + Applicable Government taxes + Lunches on Friday & Saturday + Gala Banquet Dinner on Friday + Registration Kit + Visit to Trade Exhibition. Non-Residential Package for the Pune Knee Rehab Course includes: Registration for Pune Knee Rehab Course 2019 + Applicable Government taxes + Lunch on Thursday + Registration Kit + Visit to Trade Exhibition. 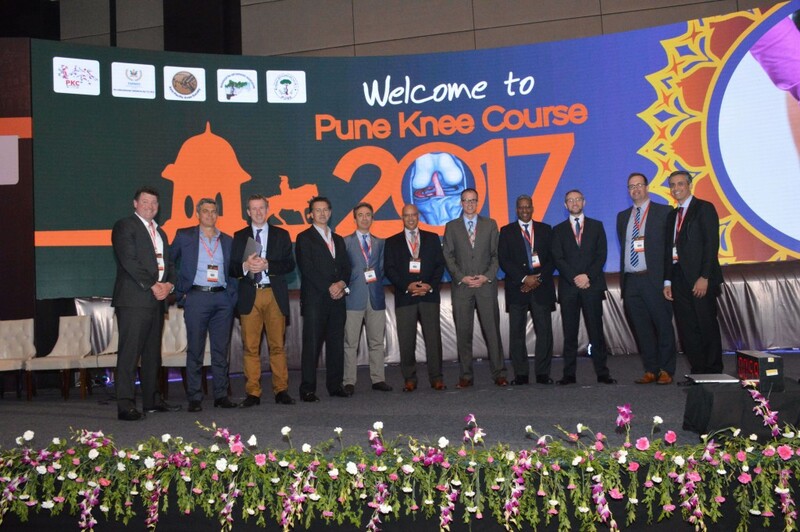 Non-Residential Package for the Pune Knee Course & Pune Knee Rehab Course includes: Registration for Pune Knee Course 2019 + Registration for Pune Knee Rehab Course 2019 + Applicable Government taxes + Lunches on Thursday, Friday & Saturday + Gala Banquet Dinner on Friday + Registration Kit + Visit to Trade Exhibition. REGISTRATION FOR PKRC HAS TO BE DONE SEPARATELY BY PAYING THE MENTIONED PKRC FEES (INCLUDES LUNCH ON 25TH APRIL). Prof. Frank R. Noyes, M.D. 1268, Shukrawar Peth Lane no: 6, Subhashnagar, Pune: 411002, Maharashtra, India.